The Surrey Art Gallery Association believes that contemporary art provides all people with an opportunity to reflect upon our culture, society, issues, and the ideas of our time. It is important that the residents of our young, growing city have access to our visual and cultural heritage. Surrey Art Gallery Association’s efforts play an essential role in realizing these goals through the events and services provided, and by actively supporting the programs of Surrey Art Gallery. The Surrey Art Gallery Association invites you to discover, enjoy, and support Surrey Art Gallery and the visual arts in this community. Membership in Surrey Art Gallery Association is a way of showing your support for our city’s Gallery and arts community. Membership privileges include a newsletter, art rental, and a discount at the SAGA Gift Shop. Memberships are renewed in May of each year and are available for shop artists, students, seniors, individuals, families, and businesses. 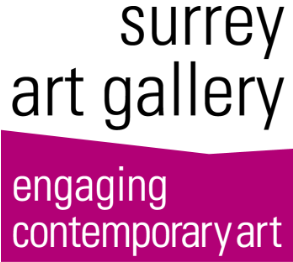 The Surrey Art Gallery Association is a member of the Volunteer Committee of Art Museums, the Canadian Friends of Museums, and the Arts Council of Surrey.